KAMLOOPS, B.C. 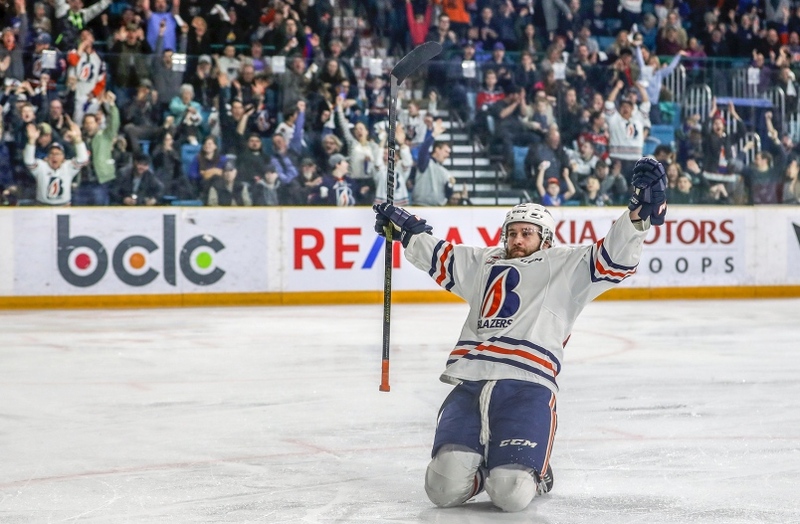 - The Kamloops Blazers are heading to the Western Hockey League playoffs. 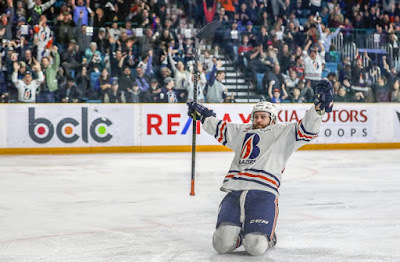 Kobe Mohr scored the go-ahead goal in the third period to lift the Blazers to a 5-1 win over the Kelowna Rockets on Tuesday in a tiebreak game to determine who would face the Victoria Royals in the post-season beginning later this week. The game was the seventh tiebreaker in WHL history and the first to feature two teams from British Columbia. Mohr broke a 1-1 tie 6:10 into the third period and Connor Zary and Brodi Stuart added a pair of short-handed insurance goals over the next four minutes. Jermaine Loewen sealed it with an empty-netter at 18:29. Kyrell Sopotyk also scored for the Blazers, on a power play in the second period. But Mark Liwiski tied the game for Kelowna less than four minutes later. Kamloops goaltender Dylan Garand made 27 saves. Roman Basran started in net for the Rockets and allowed four goals on 34 shots through 50:12. James Porter turned aside five attempts the rest of the way. The first-round playoff series between the Blazers and Royals begins Friday in Victoria. The Royals were 5-3-1 versus Kamloops this season.